Today we spent the morning in Hollywood studios, we fastpassed toy story mania and the frozen sing along and watched the Disney junior live on stage show and met the Disney junior characters, Hollywood studios was really busy and there aren't too many great places to eat so we decided to head to steak and shake for lunch. 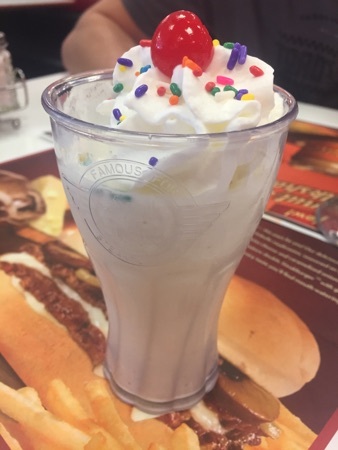 DD had the birthday cake milkshake, this was really good but abit sickly after a while. 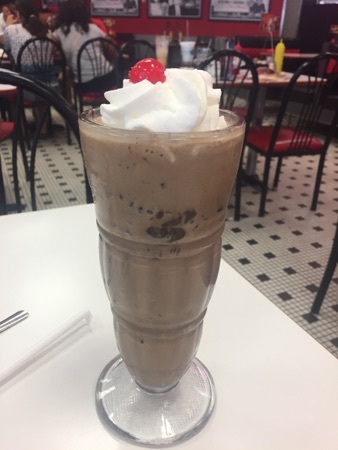 DH and I both had the chocolate brownie milkshakes, this is my usual and it's sooooo good! Big lumps of brownie and loads of chocolate sauce! Best milkshake I've ever tasted! 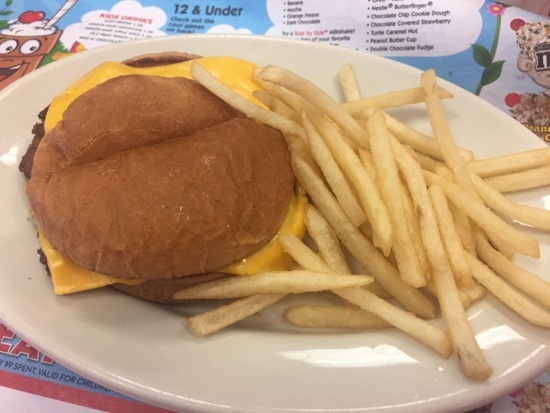 DD had the kids cheeseburger and fries, this was just a regular steakburger with cheese, DD enjoyed this. 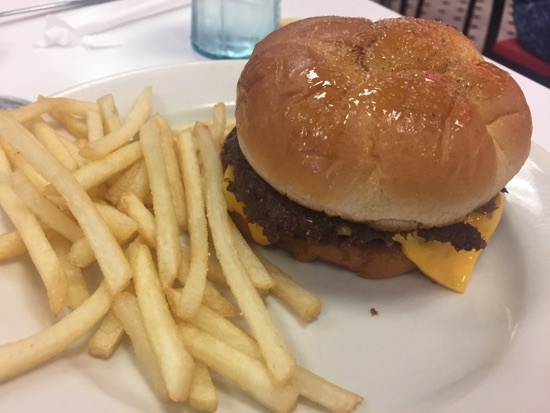 The great thing about steak and shake is kids eat free all day every day. DH had the Jamaican jerk burger with fries. He said this was abit on the spicy side, the jerk sauce had a huge kick to it. I had the boy left garlic steakburger. This is also my usual, there's loads of garlic butter on it so the burger is so moist! Absolutely delicious! 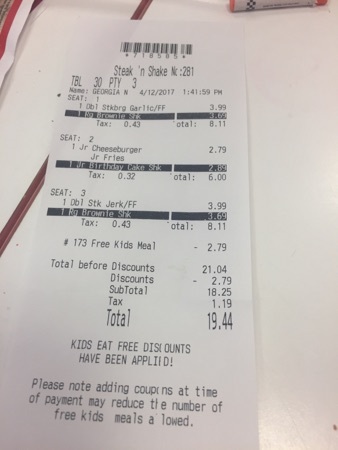 This came to $19.44 with the kids eat free discount. Absolute bargain! Can't fault the quality or amount of food for that price! 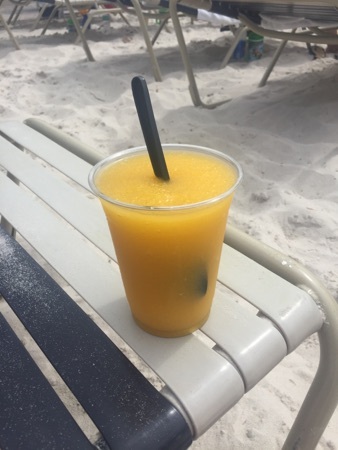 After lunch we headed out to typhoon lagoon where I sat and enjoyed a frozen passion fruit drink. This was $5.49 and really tasty and refreshing. This evening we headed out to magic kingdom and decided to eat dinner there. 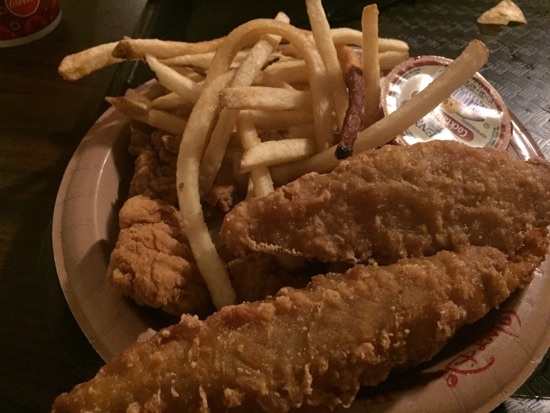 We chose Columbia harbour house, this is somewhere we have never tried before. DD had the kids chicken nugget meal. I had the lobster roll. This was ok, there was plenty of lobster and a kind of coleslaw in the bottom but the lobster could have done with dressing on it too as it was abit dry. 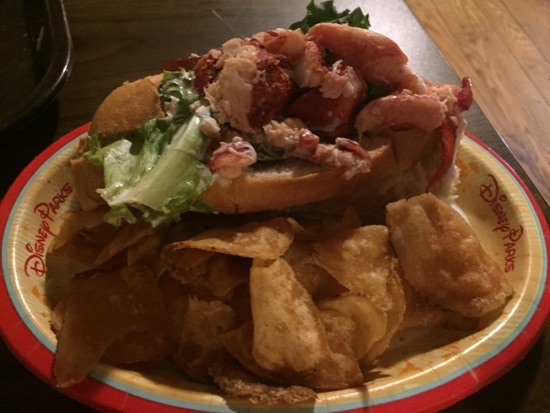 Not a patch on the lobster roll from the contempo cafe. This came with potato chips which were nice enough. This was $14.99. 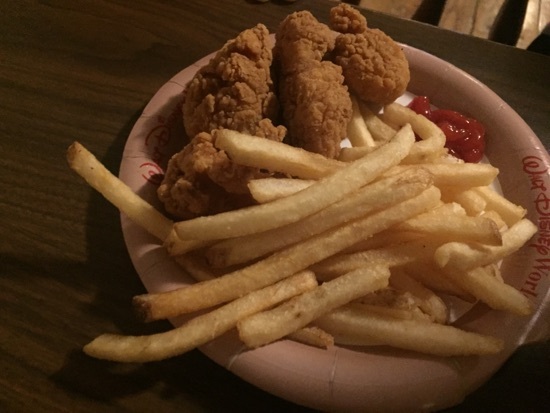 DH got the land and sea trio, this was chicken nuggets, breaded shrimp and breaded fish strips, it came served with fries and was $14.49. DH said it was alright, the fish strips weren't great but the chicken nuggets and shrimp were nice enough. This is our most expensive meal so far and didn't feel it was worth the price. New Photo Added by missdopey - 13 Apr 17 12:59 PM. That Jamaican jerk burger sounds right up my street, I love a spicy kick. 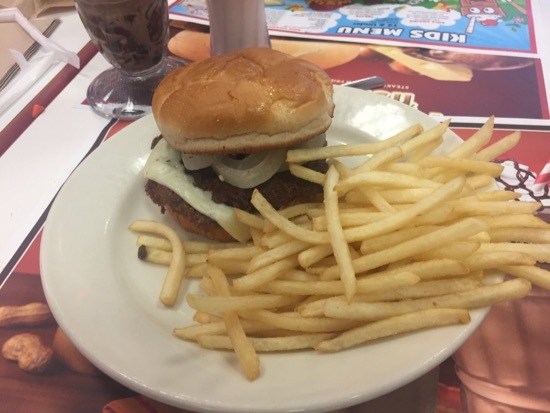 I also love Steak n Shake. Was it the Lake Buena Vista one you went to? I didn't realise kids eat free. My children are older so it doesn't apply, but we are taking our nephews in August and it will! Is there a special menu that is free and is it just the burgers? It's any of the kids meals that are free. Burgers, hotdogs, Mac & cheese etc. All looks great, thanks for sharing!